What type of cooperative is New Harvest? 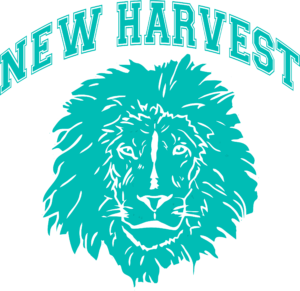 New Harvest Christian Co-op provides both academic and enrichment courses based on the skills and talents of our participating families and paid instructors and the needs of our students. Our classes are taught from a biblical perspective. We are a hybrid style co-op where our K-8 classes are parent-led but most of our high school classes are affordable paid courses taught by subcontracted instructors. Currently, our co-op meets at Bethel Baptist Church located on the Chesapeake end of Elbow Road. We are about 1/2 mile from Centerville Turnpike. What days does your co-op meet? We meet on Mondays and Thursdays. Mondays are specifically for high school classes and paid enrichment classes for K-12. On Thursdays, all grade levels participate. Currently, classes begin at 9:00am and end at 3:30pm. We require a parent/guardian of an elementary child to remain with the child if they are not in a class. While they are in class, you are free to leave the property but please be prompt in returning to pick up your child! Middle school and high school parents are not required to stay on site during class times. Yes! But you're gonna love it! Cooperative means "involving mutual assistance in working toward a common goal." We're working together on each other's behalf for the benefit of our families and children. We require that a parent from each family serves where there is a need. We fill our teaching needs first and then fill other roles such as lunch monitor, recess monitor or substitute. What are the fees associated with New Harvest Christian Co-op? Registration (per family) is $50.00 and due upon your agreement and commitment to participate in the upcoming school year. Building fee: $250 per year split into two semesters. Most of the high school courses along with the enrichment classes are subcontracted out to instructors specializing in that subject. These classes require an additional monthly fee set by each instructor. Most of those courses currently range between $25-$35 per class, per month.